Our customer feedback solutions include real time email service alerts to proper management when customers are unhappy. This allows management to address service incidents before they become negative Online reviews or lost customers. 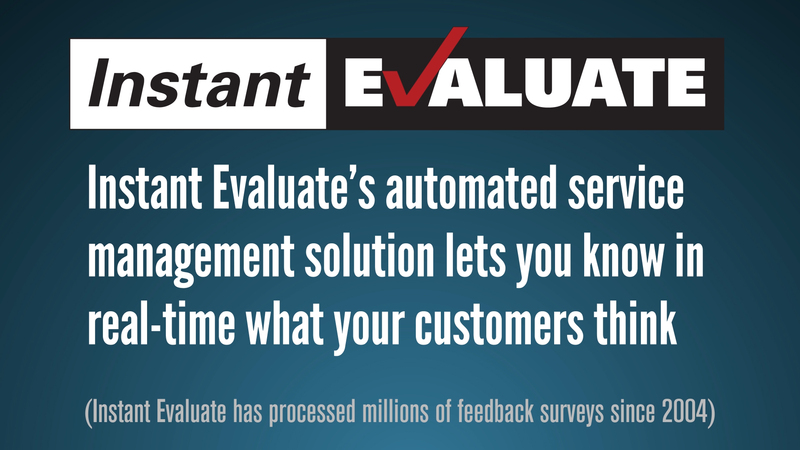 Instant Evaluate makes it fast and easy for customers to provide feedback any time they want, while also allowing management to send out targeted survey invites to specific customer groups. Watch our video and visit the pages of our site to learn more about how Instant Evaluate makes it easy to always know what your customers are thinking. When Does Your Business Find Out A Customer Is Unhappy? How can Instant Evaluate help me? Customers are invited to leave feedback at a mobile-optimized landing page which is customized to your brand. Customers can be directed towards the landing page via QR Code signage, transaction receipt, or a direct link shared via email or web. Use our customer feedback solution! If you show your clients you care, that you are willing to improve, you will significantly reduce negative reviews and mean comments. How do you avoid negative Online reviews? "What Gets Measured, Gets Managed. What Gets Managed, Improves."